A few months ago FollowMe Trips organized an adventurous trip to South-East Asia. Immediately after landing we were impressed by the luxurious scenery. 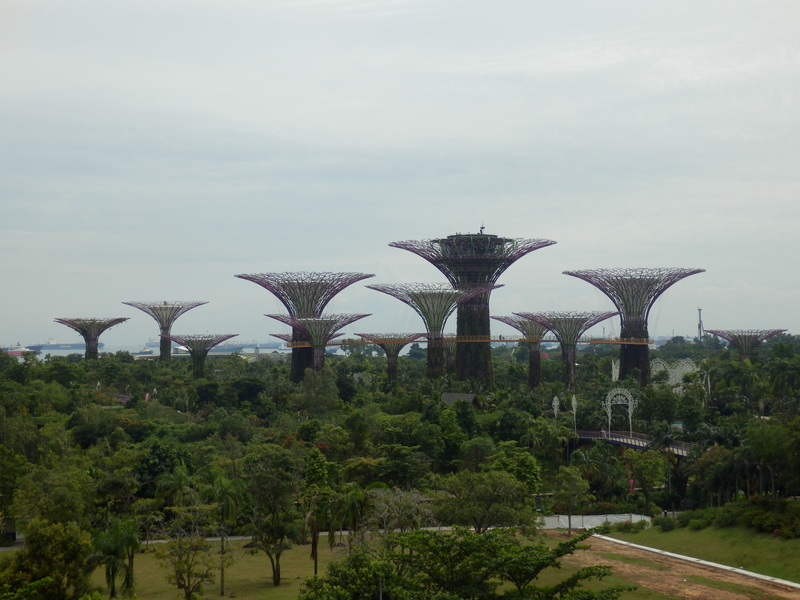 The Changi airport was an absolute technological marvel and a place where you can easily get around; the airport personnel was very helpful offering valuable information to the tourists. We really loved the blend between construction and nature as there were several sites where you felt you were inside a natural park. 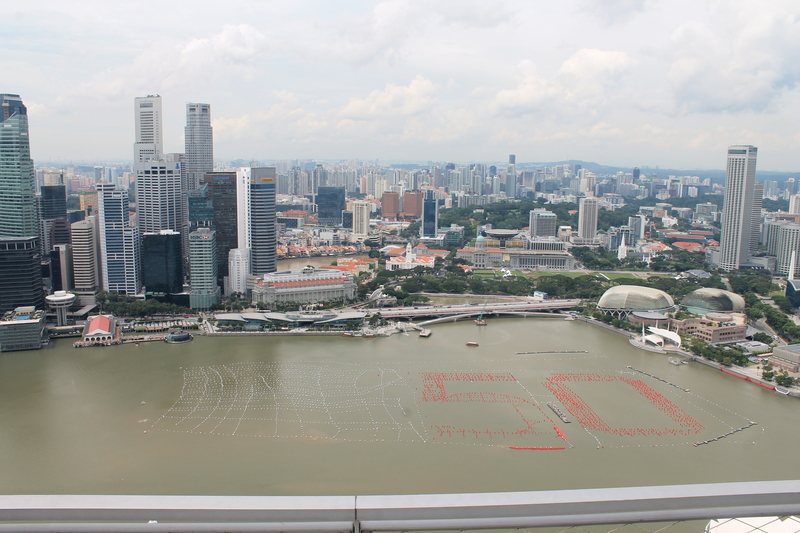 We took a bus from the airport directly to Marina Bay area where we were left speechless again. 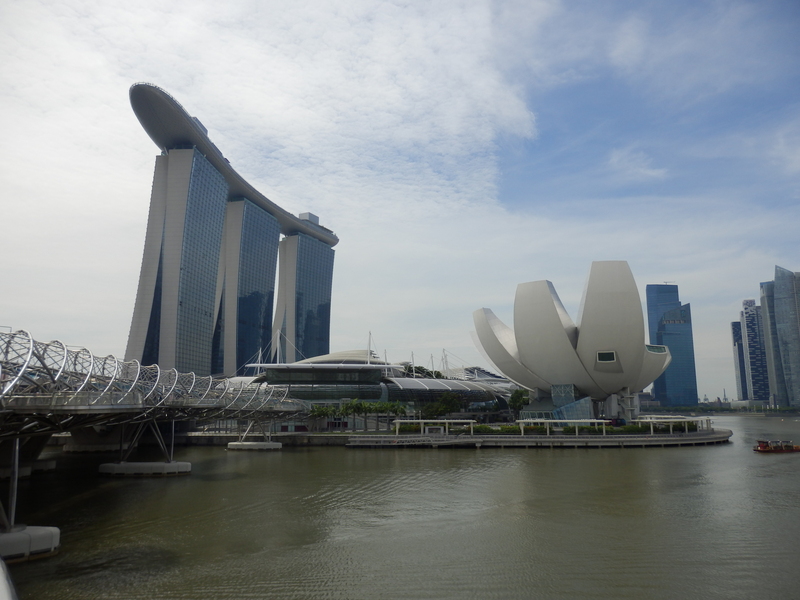 The Marina Bay is the main attraction site as here you can find the most important landmarks in Singapore: Gardens by the Bay, Singapore Flyer, ArtScience Museum, Merlion – The City’s Icon and of course the masterpiece… the 5* Marina Bay Sands hotel, our home for that night. Singapore is one of the, if not the cleanest city we have ever seen; we actually spotted the city cleaners washing the streets with environment-friendly soap. You also feel really safe when visiting the city. We took a walk around the city and enjoyed the Asian street-food cuisine as we ate soup – Hokkein mee and caramelized seafood – Tom Rim. Though one of the smallest countries in the world, Singapore is a multi-cultural crossroad for Chinese, Indians, Thai, Vietnamese etc and you can definitely feel this joy of culture when you walk the streets both by day and night. 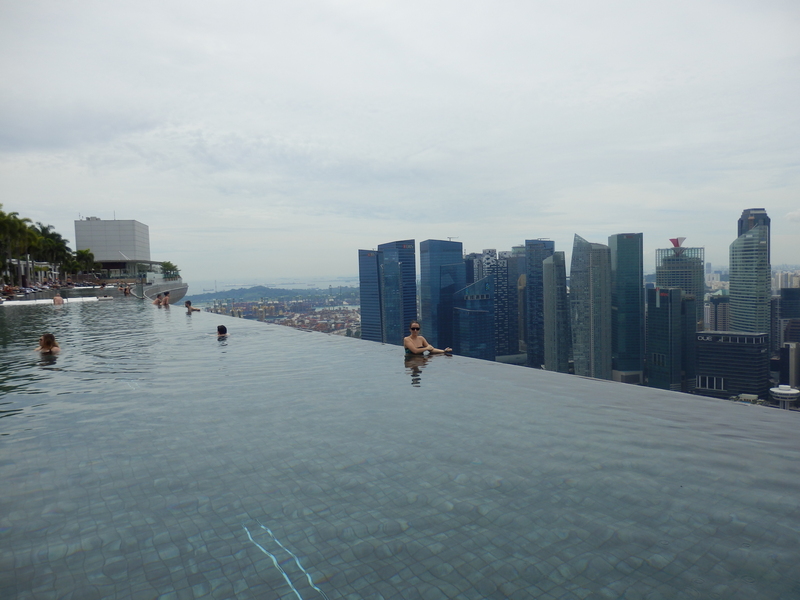 Maybe the most impressive view in Singapore is the one on top of the 245m high Marina Bay Sands hotel. It just leaves you breathless. 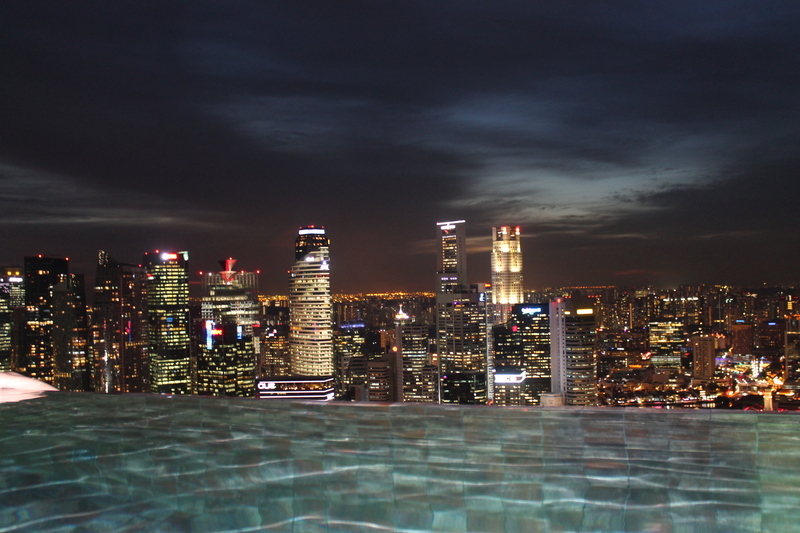 The millennium pool covers the entire length of the top floor and provides a great view of the bay as well as the light show from the city. 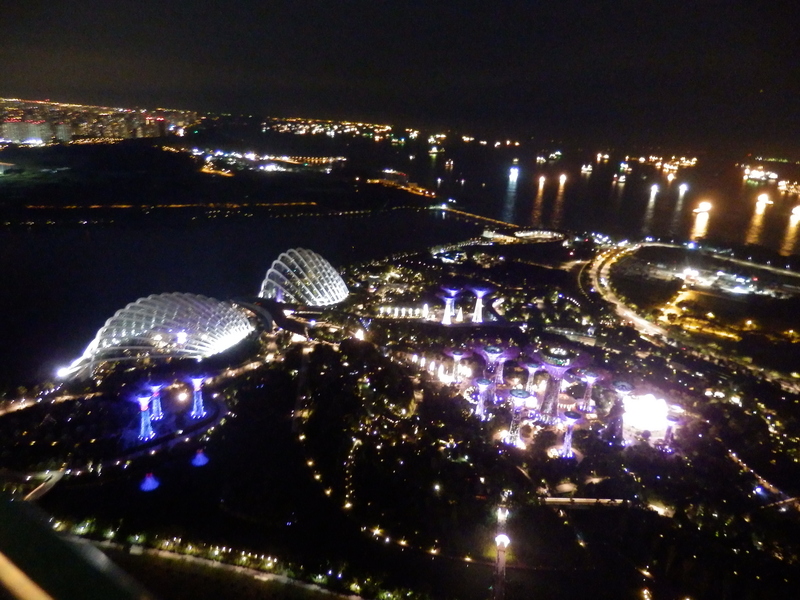 Once we “recovered” from the excitement of actually being there, we started to enjoy the scenery; we just kept looking at the city lights and try to imprint the image in our minds as a snapshot of the moment. It was amazing! 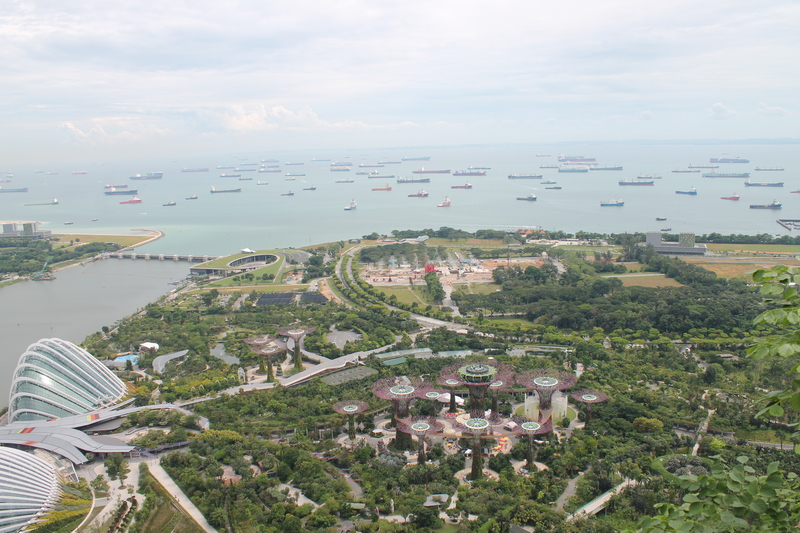 We also went to enjoy the view on the other side, looking over the Gardens by the Bay, the sea and the multitude of ships of all kinds waiting to dock one of the largest and busiest harbors in the world. 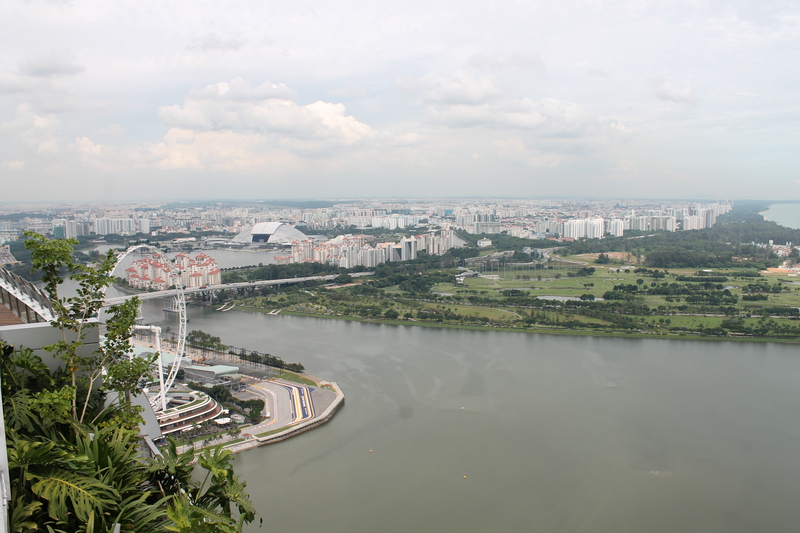 We only stayed there for one day and one night but we tried to make the most of it and we will definitely come back one day to Singapore and relive the great experience. 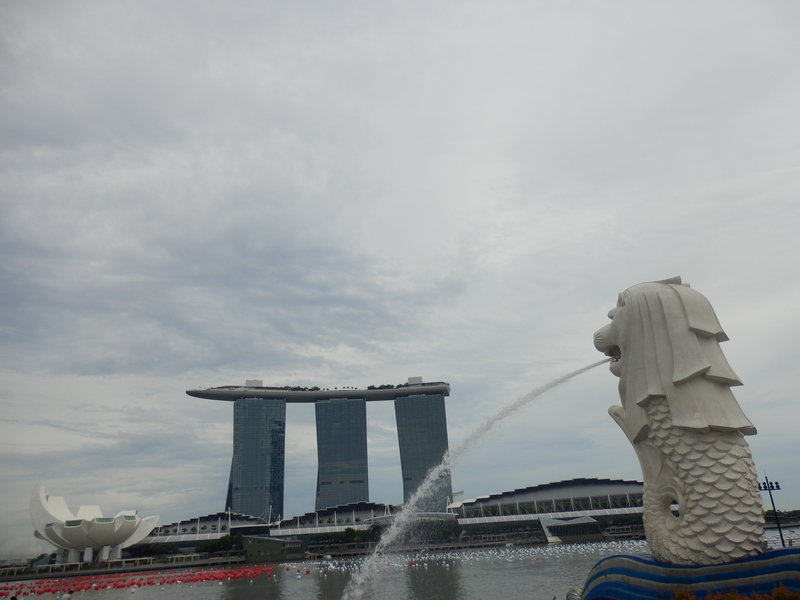 We strongly recommend you visit Singapore and also stay at the Marina Bay Sands to enjoy the full experience! Following the entire Asian itinerary (Singapore, Bangkok, Langkawi, Kuala Lumpur) we will also provide a list of the costs and fees for each of the destinations.